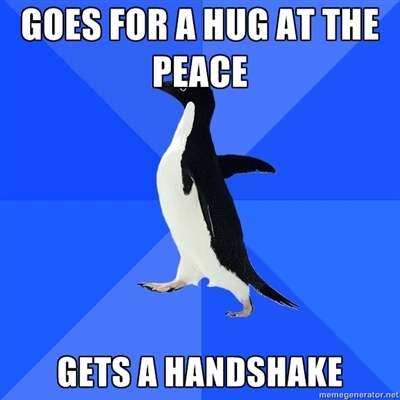 This entry was posted in Memes and tagged Church of England, handshake, socially awkward penguin, the peace by masterofthememes. Bookmark the permalink. Love it! How can I use the image to create my own entry with different text?